While everyone else is prepping for the 4th of July holiday, we’re looking ahead at the rest of July and planning our next outing near Foxbank Plantation in Moncks Corner. There are so many great events happening around the Lowcountry, that it can be challenging to only add one or two to your calendar. While there are dozens of 4th of July celebrations happening around town, our favorite is definitely the Town of Moncks Corner’s annual bash. Featuring live music, jump castles, food trucks and, of course, fireworks, this free event has something for the whole family! Known as one of the most popular cocktail events in Charleston, the third annual Charleston Margarita Festival is a must-see. 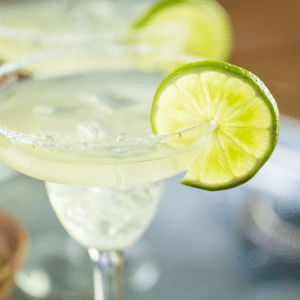 Featuring more than 20 margaritas, delicious food, beer and live music, this festival brings together all the best flavors of the Lowcountry into one truly unforgettable and refreshing event. Hosted every Monday at the George H Seago Jr. library in Summerville, the Summer Movie Club brings together enthusiastic movie lovers from around the Lowcountry to enjoy a fun, family-friendly movie night. Viewers of all ages are invited, all you have to do is call in advance for group seating. We may have mentioned this before, but stopping by the Moncks Corner Farmers Market is one of the best ways to spend your summer afternoons. Located in the Market Pavilion at the Regional Recreation Complex, the Moncks Corner Farmers Market is open every Thursday between 3 and 7 p.m. and features local, fresh produce, baked goods, meats and so much more! This entry was posted in Around the Community, Events, Foxbank Plantation, Holiday and tagged 4th of July, Events, Holiday. Bookmark the permalink.